If you’re looking to make an end-of-the-year contribution to an organization, whether for tax deduction purposes or otherwise, allow us to make a suggestion: Consider giving back to the neighborhood by making a donation to the Madison Square Park Conservancy. Madison Square Park is arguably the crown jewel of NoMad, and it plays a huge part in why this neighborhood is such a remarkable place to live and work. It provides us with wonderful views, a place to stroll during lunch or break times, year-round family-fun and cultural, a place to walk the dog, world-class art exhibits, and so much more. The park doesn’t stay beautiful on its own. 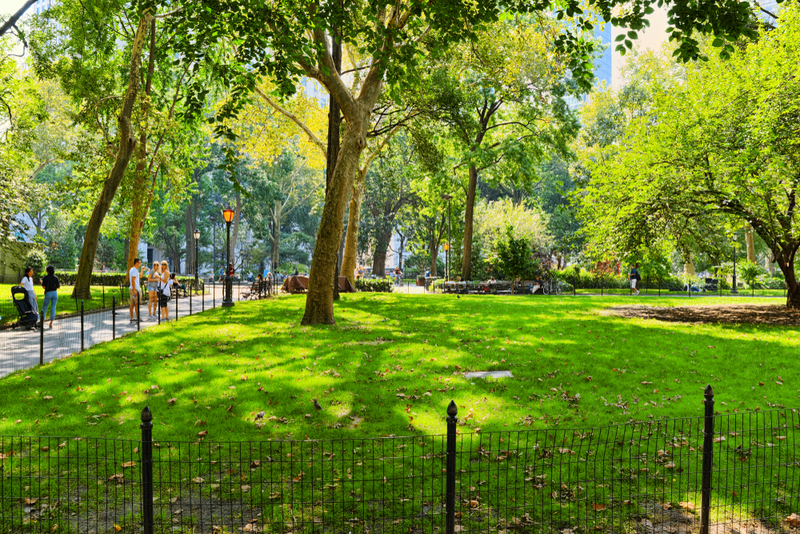 Although this is a city park, the Madison Square Park Conservancy raises 100 percent of the money required to plant the park’s flowers, maintain and keep the park grounds, as well as put on the numerous programs that benefit the community all year. That is why it is one of the most beautiful, well-maintained, and active park in the city. The Conservancy is currently planning for its upcoming calendar—and the budget they can raise plays a significant role in what decisions are made. If you have taken time out of your day to walk the park, eat a picnic lunch, relax on a bench or attend a special event at any time during the last year, you have already benefitted from the good will of others who have and are supporting the park. If you’re not already a supporter, why not take this opportunity and do your share for the upcoming year? Madison Square Park Conservancy is a non-profit organization, and all donations are tax-deductible. They’ve made it easy to donate – just click here to fill out their convenient online form. Let’s work together to help keep our park looking amazing—and in so doing, we’ll help keep NoMad one of the best places to live and work in NYC.